Virat Kohli is the current captain of the Indian National Cricket Team for all three formats. He is a top order right-handed batsman. As of January 2019, he has made 64 international centuries. Here is a list of Virat Kohli Centuries. The rise of Kohli in international cricket has been exceptional. The Delhi-lad has been notching up centuries for fun. He is surely on his way to becoming the player with most centuries in international cricket. Right now, India’s legendary batsman Sachin Tendulkar holds the record with 100 hundreds. Australia’s former captain Ricky Ponting is second on the list with 71 centuries. 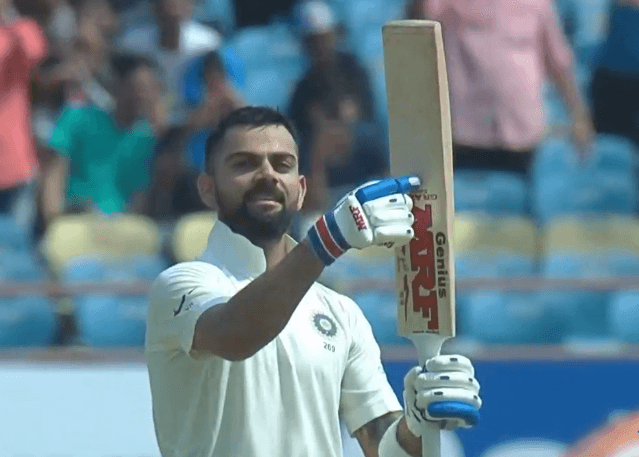 Virat currently has 64 centuries to his name. It’s fair to say, going by his current form, the right-hander is sure to surpass Ponting soon. And he might overtake Tendulkar by a fair margin by the time he finishes. He has made 4 centuries as of January 2019 in Indian Premier League. Here is the complete list of Virat Kohli Centuries in IPL.